Well, this year we finally got a summer to remember with weeks and weeks of record-beating temperatures. Now, though, the weather is cooler and crisper and there’s a hint of autumn in the air. 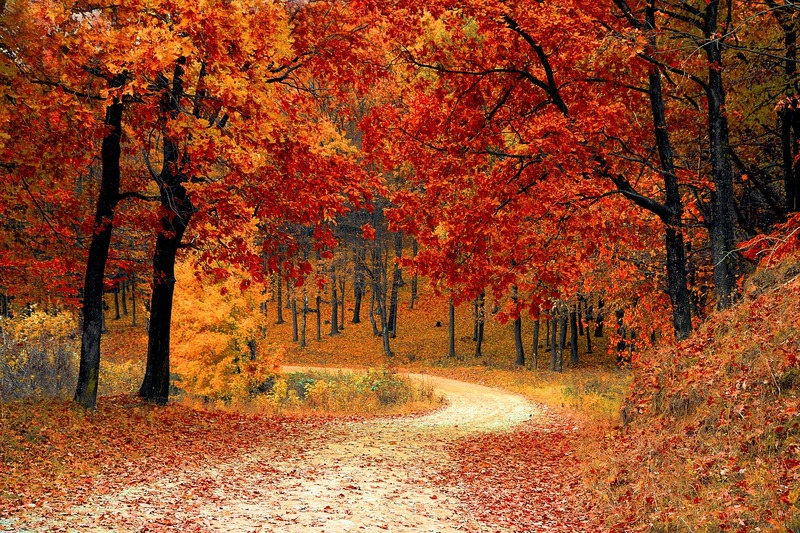 Autumn is likely to be early this year, as the leaves start to turn after the long, hot summer months. 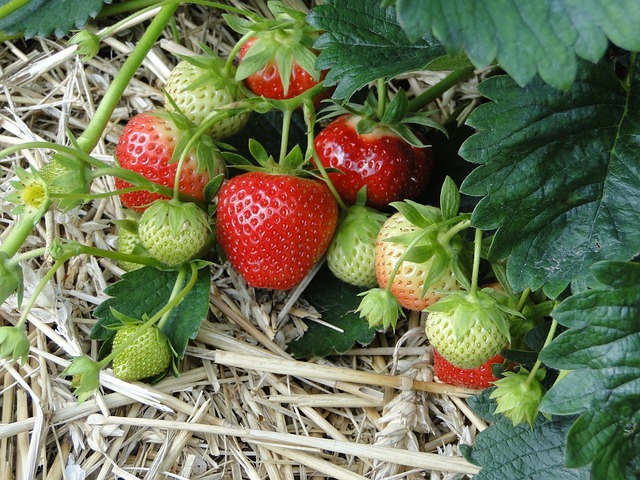 The hedgerows are groaning with blackberries and sloes, and fruit trees are bowing down until the weight of the crop. It may be time to say ‘goodbye’ to summer, but it’s ‘hello’ to our favourite season of autumn. Here’s a peek at some of the autumn homewares we’re getting excited about this season. This is a gorgeous trend. Use huge, dramatic floral prints on cushions, bed linen, upholstery, curtains, blinds and even walls. Cover a feature wall with larger-than-life sunflowers, peonies or poppies, or use a stick-on full-wall mural for ease. 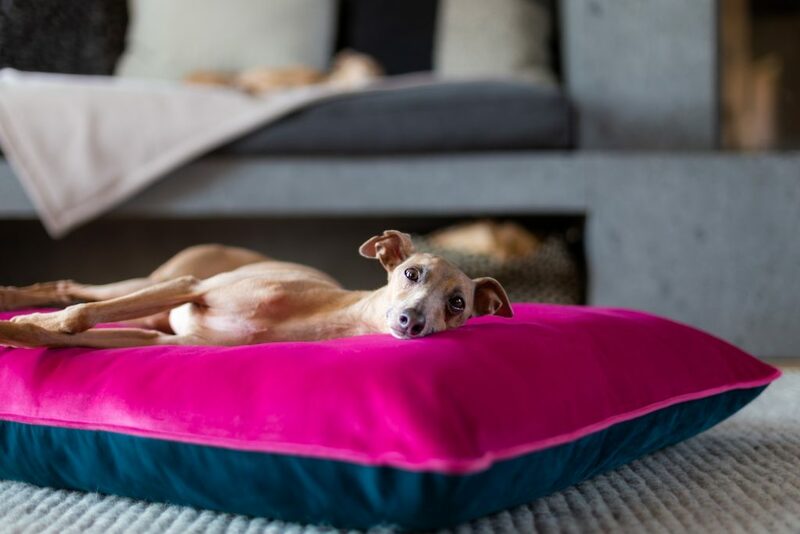 This is one trend that can look a bit overdone if you’re not careful, so team it with neutrals in the rest of the room and stick to one or two dominant colours – rich plums, browns and reds look striking without being overpowering. 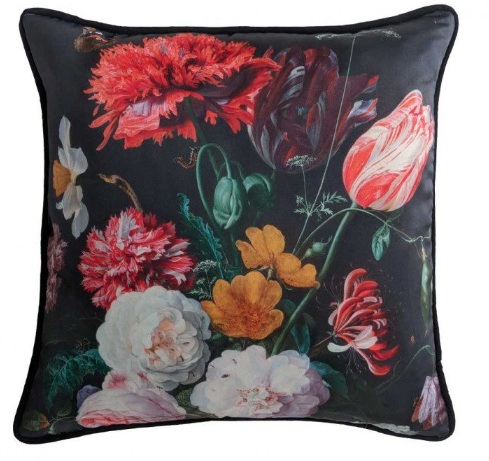 Renaissance floral cushion, £45 from the French Bedroom Company. This is a trend that’s been with us for a while now, but it’s still very much in the frame. Previous incarnations involved gold-coloured metal on door handles, plant pots, kitchenware and vases, but the trend has softened down for autumn. Think plump, squashy textured cushions made of gold-coloured velvet; lovely chunky knitted throws in deep yellow wool and thick fluffy gold-coloured rugs on the floor. 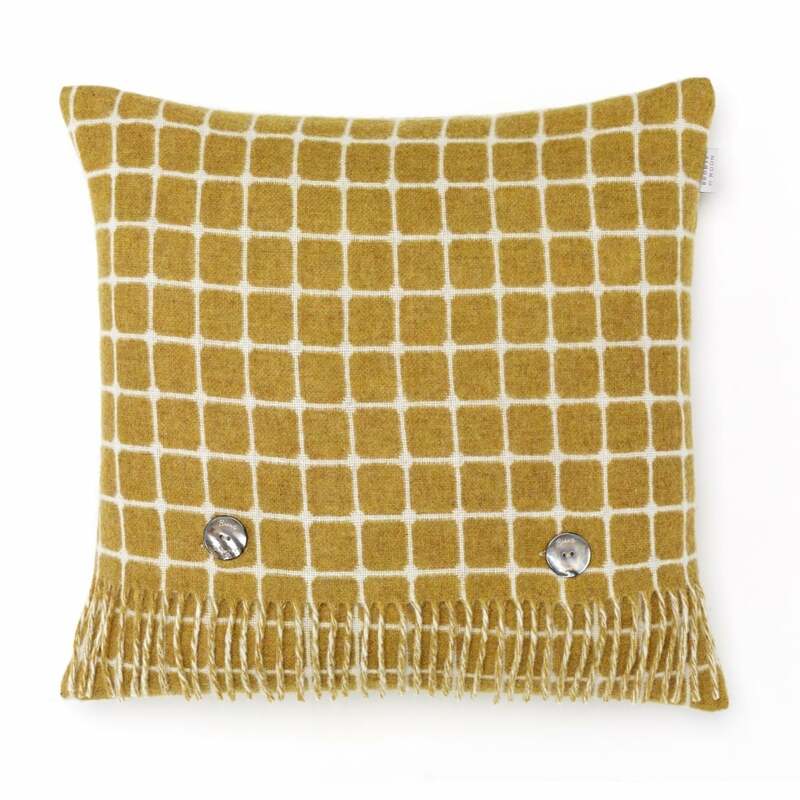 Merino lambswool Athens check cushion in gold, £44, Bronte by Moon, available from Black by Design. This monochrome look can look stunning in contemporary open spaces, but with care it can be made to work in any interior. Set it against a neutral background (using black and white against a mixture of other colours can look a bit 1970s, and not in a good way! ), and add little touches such as jet beading on a lampshade, black lanterns, white cushions with black trimming and white-painted furniture with black handles. Add one other dominant colour for real impact, and shades of the same colour to soften and create a cosier look. 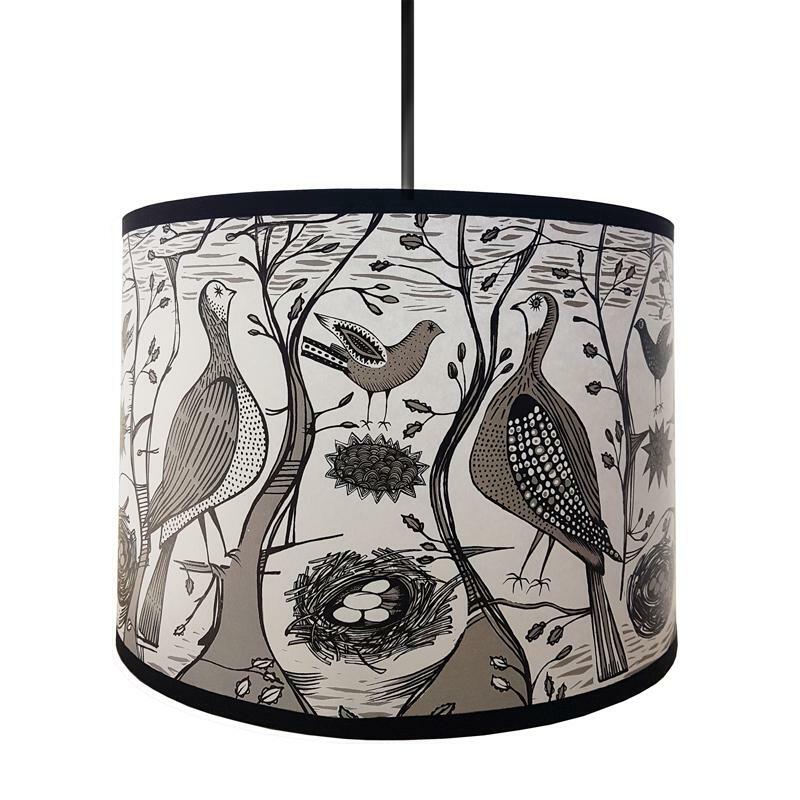 Game bird lampshade in black, £42 from Lush Designs. If you buy into only trend this autumn, this is the one to go for. We predict it’s going to be everywhere this year, and it’s ideal for setting that seasonal mood. It goes with everything, and can be incorporated into pretty much any existing decor. Team it with accents of gold (two trends in one! ), white or even shocking pink to lift it. Use it on the walls or as a rug in dining rooms where you want a cosy, intimate atmosphere, or use it as an accent colour in rooms where you want a brighter feel. If you have stripped or painted floorboards, it works perfectly as a rug – practical too, as it’s dark enough not to show dirt. 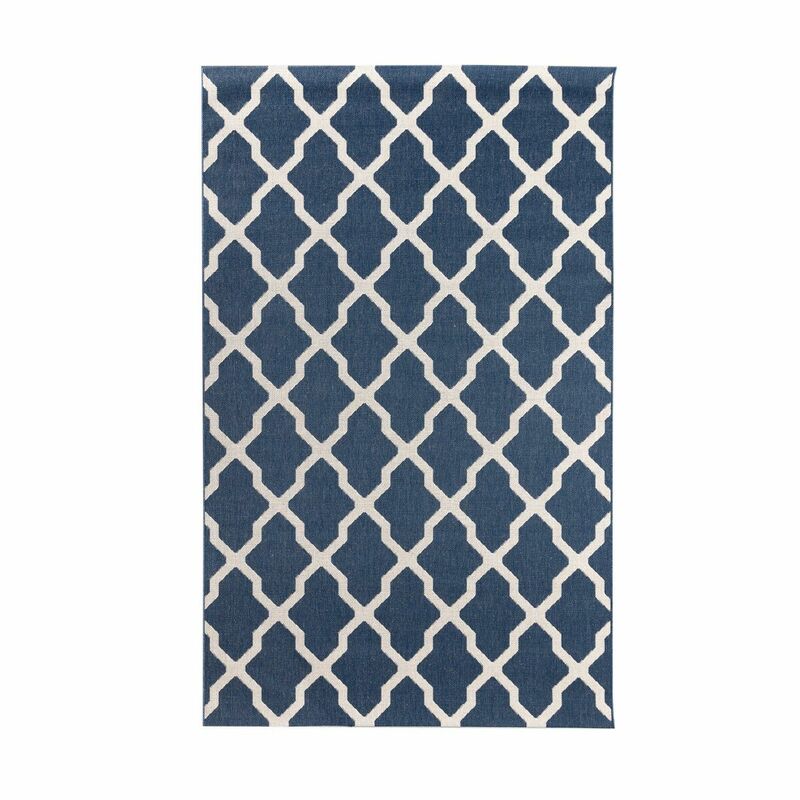 Cottage blue/beige area rug, £85 from Dekoria. 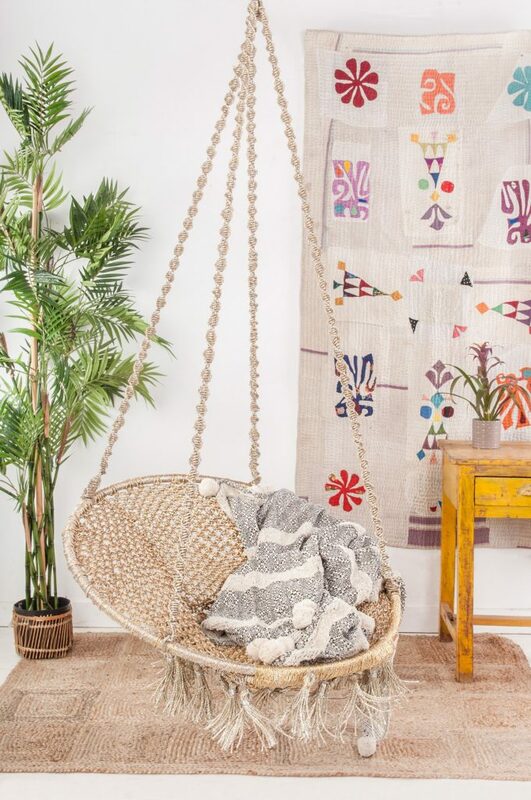 Another trend that’s going to be big this season is handmade and handcrafted, with a whimsical, folksy feel. This is a great way of personalising an interior – co-opt your grandmother into crocheting, take a up a craft yourself or trawl Etsy for inspiration. Keep the look to a few key pieces to avoid that ‘explosion in a craft shop’ look – brightly coloured, hand-tufted rugs, patchwork quilts and knitted throws will be key pieces. 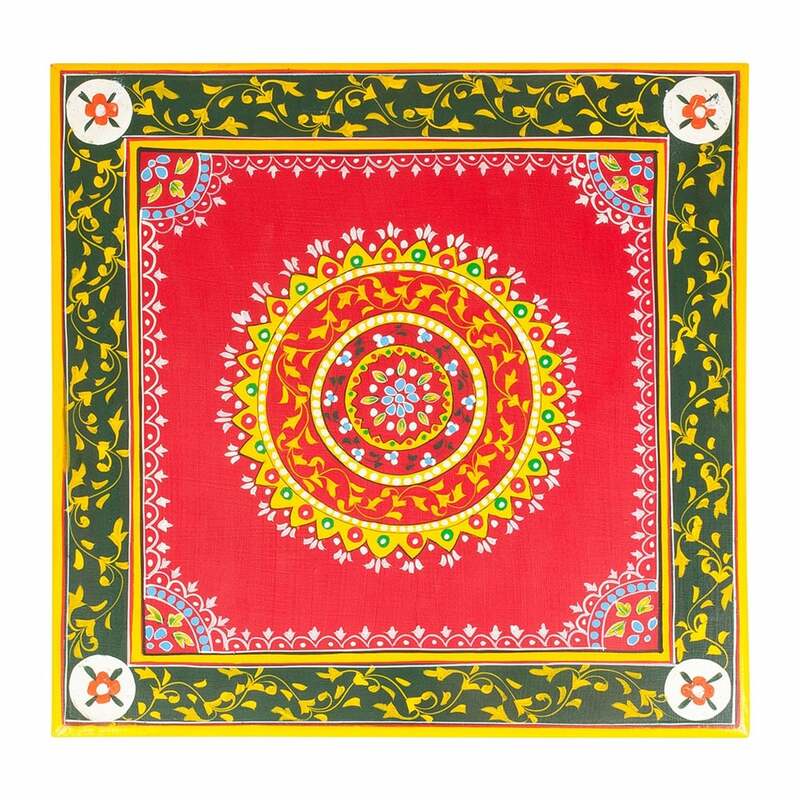 Hand-painted Indian Bajot table, £39 from Boutique Camping.